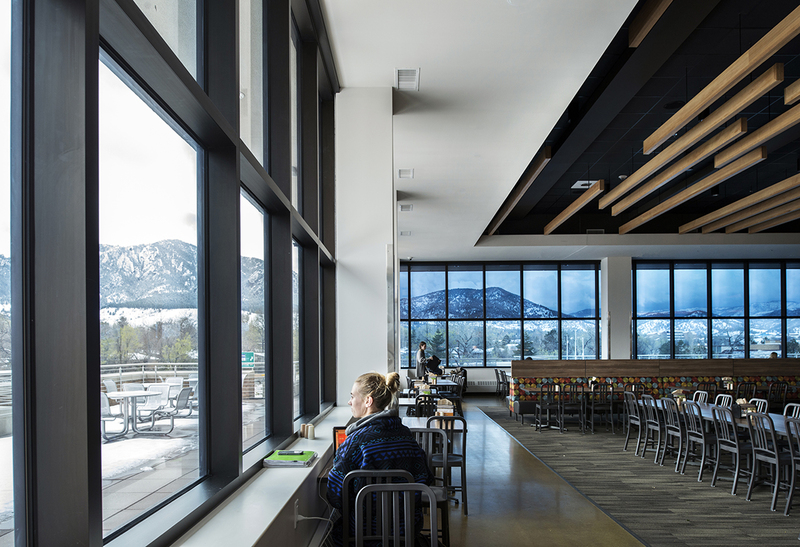 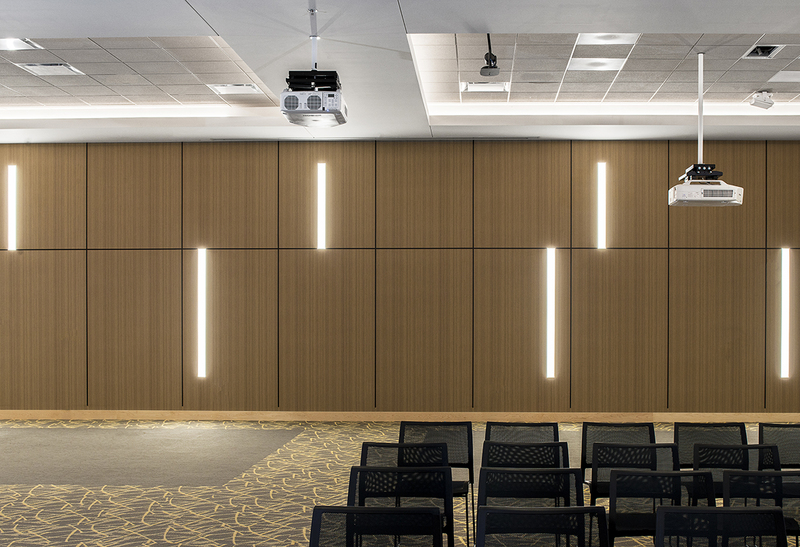 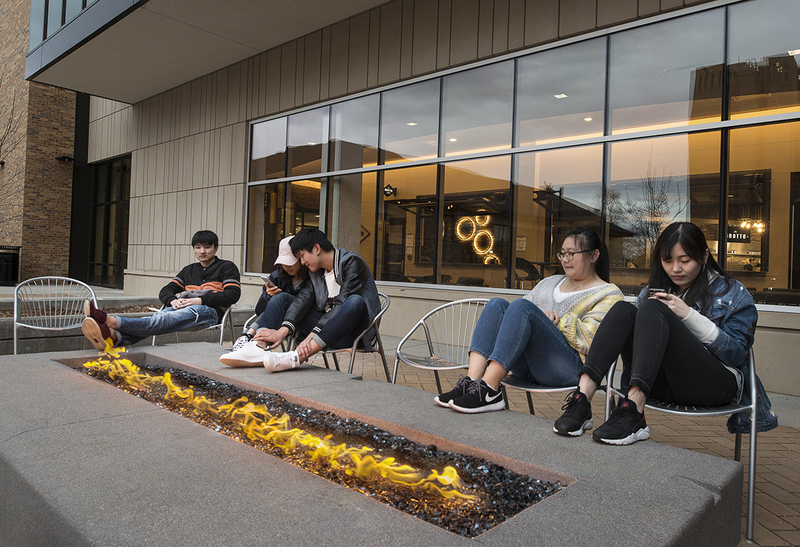 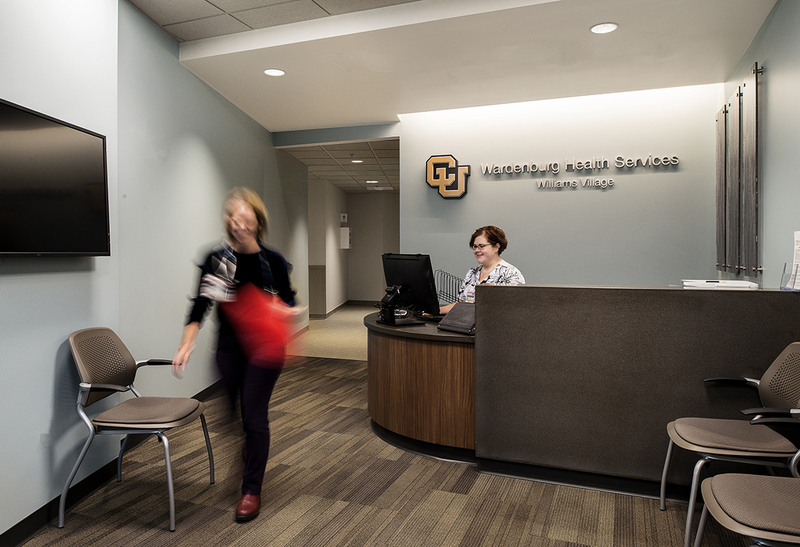 The Village Center at CU Boulder is a forward-looking multipurpose facility that provides far more than a new, contemporary dining venue on campus. 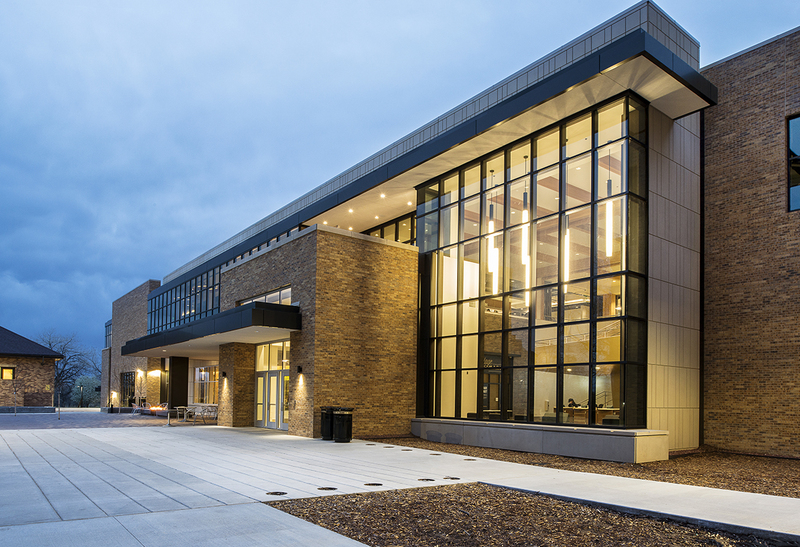 With a large conferencing facility as well as student support services and study lounges, the Village Center serves both students on the Williams Village area of campus and the greater campus community much like a student union. 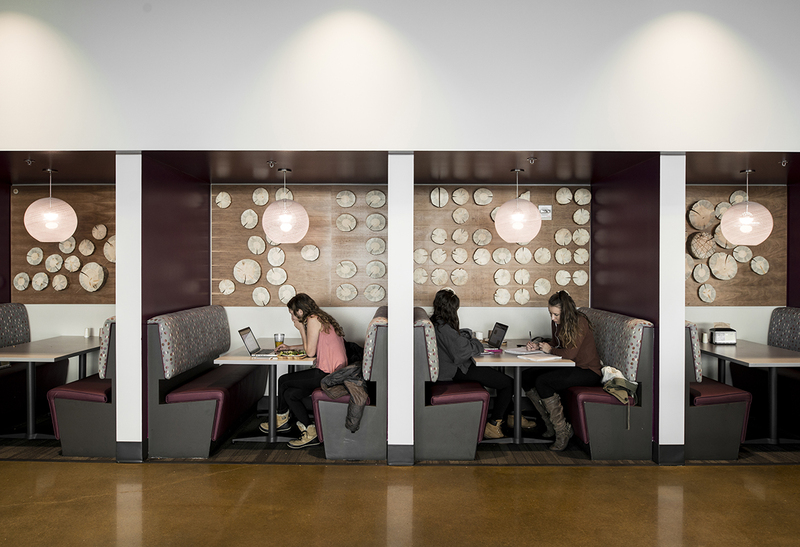 Seating includes 700 indoor seats plus an additional 150 outdoor seating options. 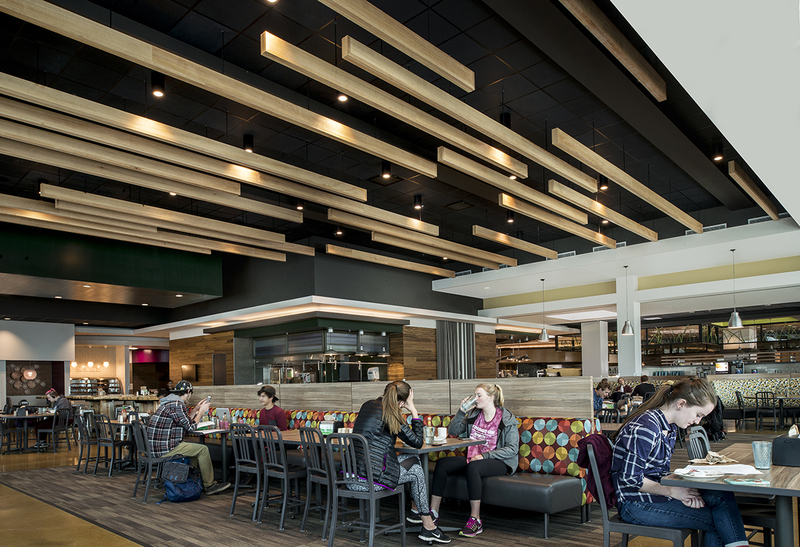 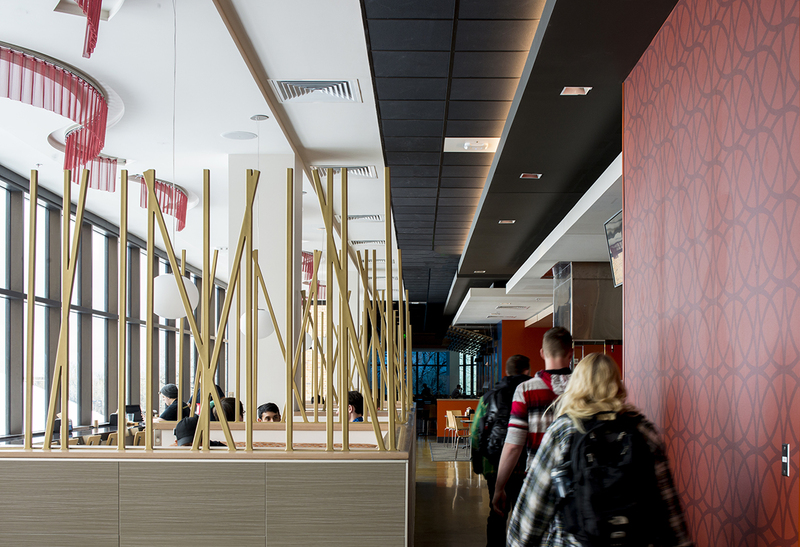 Highlights of the LEED Gold project include a grand staircase, tables and artwork by local artisans, “blender bikes” for smoothies and a hydroponic greenhouse providing fresh produce for the salad bar.